What Keeps Us Coming Back in the Elder Scrolls Online? We’ve recently celebrated the game’s 4th anniversary. It’s kind of shocking that it has been that long already. One of the biggest reasons I keep coming back/subscribing to the game would be the community. I’ve spoken on the multiple guilds I am a part of and with that I have made many friendships along the way. I speak to these people more than my own family at this point. 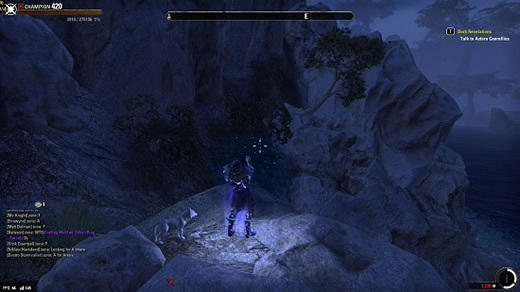 Of course, you can get the really cheap Eso gold here, ESO-gold.com is a reliable online Eso-gold Service store. The amount of time I have put into doing PvE activities with them and other things keeps me coming back. Every week we have a different challenge we give each other. Speed runs, solo runs, etc. You know it, we have probably bet on it. In the many MMORPGs I have played, I have likely made more friendships in Elder Scrolls Online than any other game. Why I keep coming back. Even though I have completed the majority of the content in Elder Scrolls Online, I am still finding myself with more things to do. I am still theory-crafting with all the classes and improving each of my characters every day. My new kick is trying out Vampirism and Werewolves. I’m not too sure which one I like the most, but I will say I like the idea of being a Vampire. The excitement of new content coming with Summerset has me wanting to play more in anticipation. With all the anticipation over the new skill set, my theory-crafting brain is just waiting for new details. I think I may be more excited with Summerset than I was with Morrowind - I am reserving that because I hope the Psijic skill line won’t be as disappointing to me as The Warden was. Yes, I know some people were overall happy with the Warden class, but for people like me who were left wanting more, I hope that this skill line doesn’t leave us with the same taste in our mouth. Again, I have high hopes overall with this Chapter. I don’t think I will speed through the main story quest as I usually do. Speaking of new content, since launch we have had a plethora of content come through the gates of Zenimax. This is probably a bigger reason for continued play than the community. We have had new things to do like clockwork all the time. We all know of games that are currently out there that don’t come out with new content or if they do, it’s far too late. We don’t have this problem at all with Elder Scrolls Online.